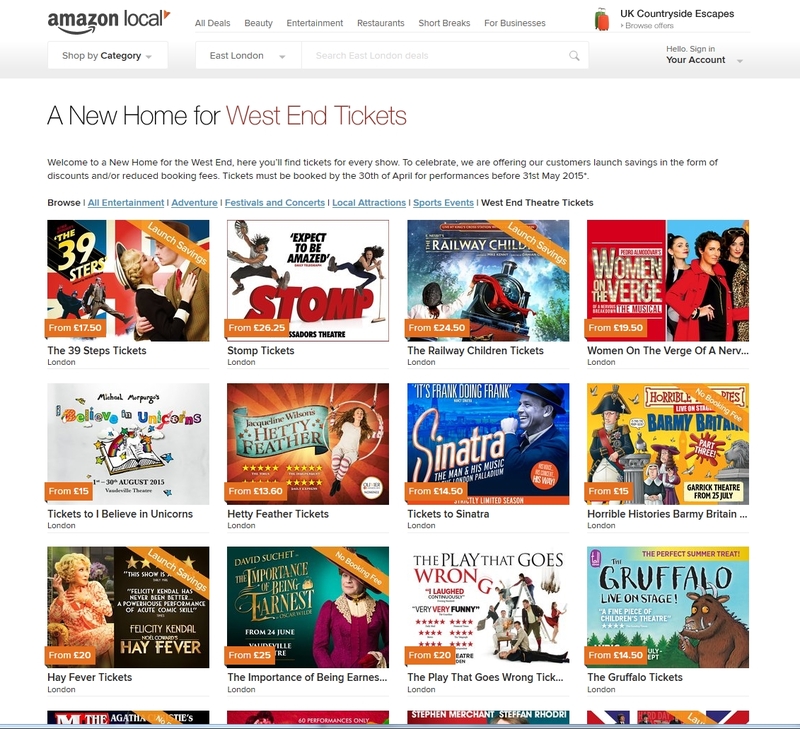 Amazon: Now also selling theatre tickets! - Oh So Girly! Today I received an email from Amazon letting me know that they have an “Amazon Local” service that previous I had not heard about. I had a look at local.amazon.co.uk to check out exactly what it is, and turns out that Amazon has branched out yet again (past expansions including the invention of the Kindle, and the introduction of Amazon Prime’s video-streaming programme); expanding beyond selling books, food, clothing, electronics and other products, to also selling tickets for theatre shows, sporting events, festivals, concerts, restaurant / hotel deals, courses for learning different skills, therapeutic treatments (from massage to pedicures and reflexology) and other “experience days”! 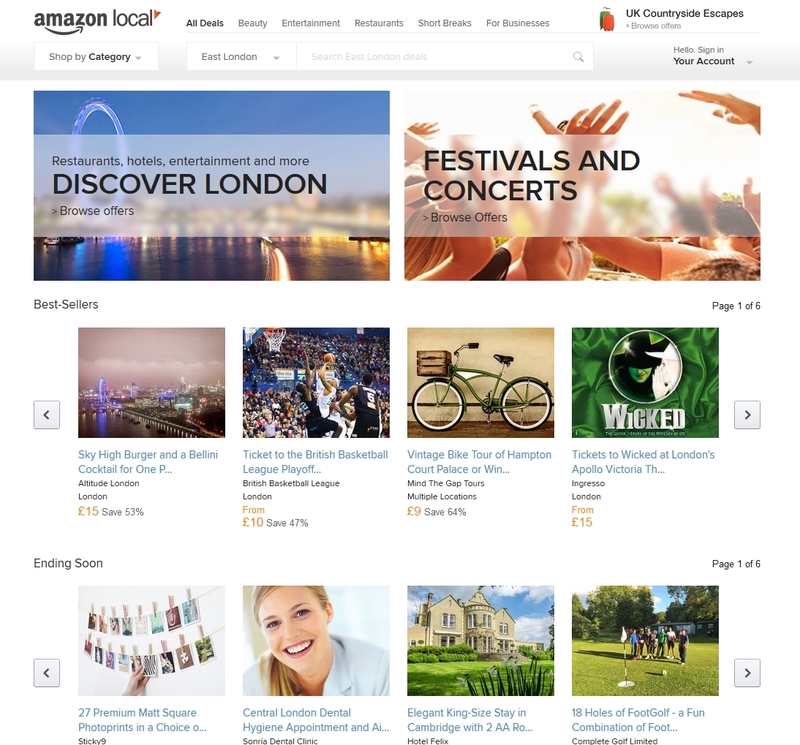 I think it’s pretty cool how much Amazon is growing beyond it’s humble origins as a book seller, and making the world of online shopping so much easier by providing a one stop shop for so many different things, without having to worry about setting up a gazillion accounts on loads of different websites.